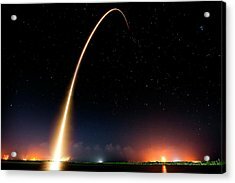 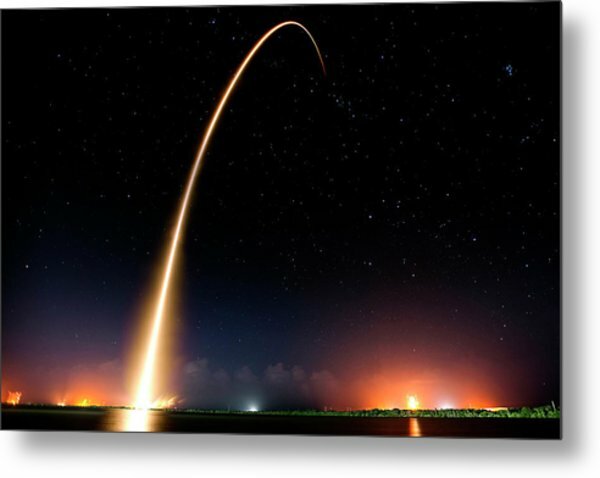 Falcon 9 Rocket Launch Outer Space Image is a photograph by Bill Swartwout Photography which was uploaded on September 10th, 2018. 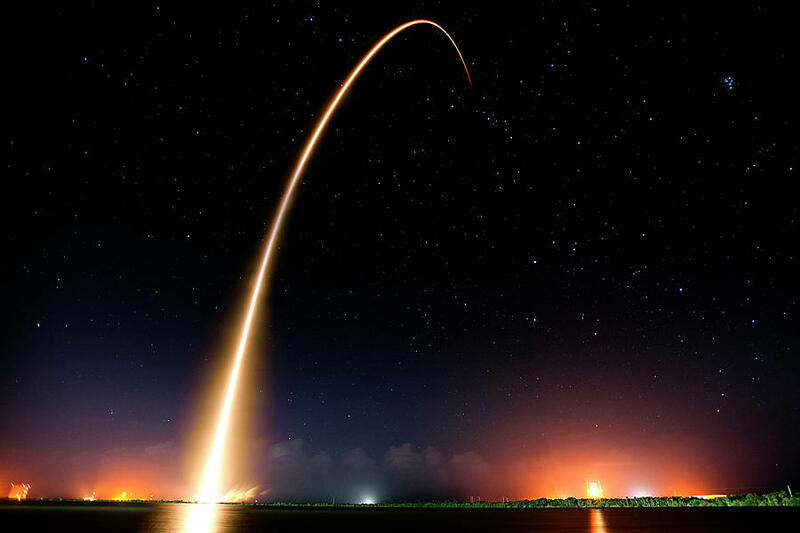 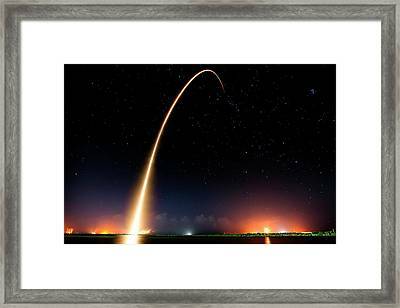 This is a long exposure photograph of a Falcon 9 rocket launch from Cape Canaveral in Florida, Being a night launch the the rocket trajectory makes a beautiful arc into the sky on its way to delivering a payload into orbit. 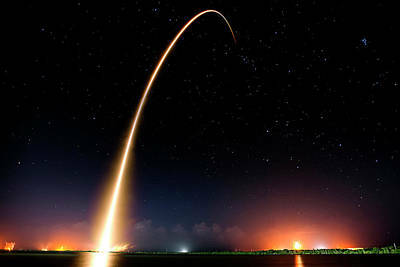 Original image credit: SpaceX. 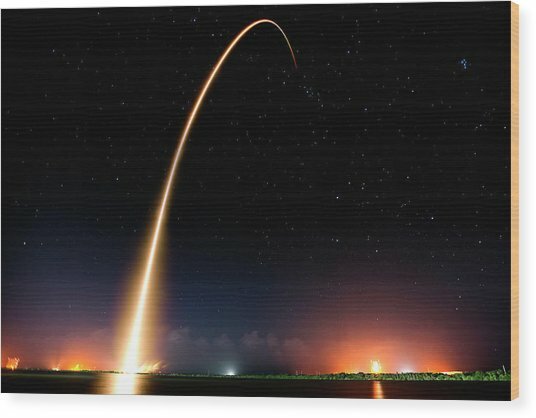 This photograph has been enhanced for fine art display from the original that is in the Public Domain - released by the Space Exploration Technologies Corp. (dba SpaceX), Hawthorne, CA.